As temperatures rise, we chose this time of the year to stress the importance of drinking water and hydration. By hydration we usually mean an increase in the moisture of skin cells. 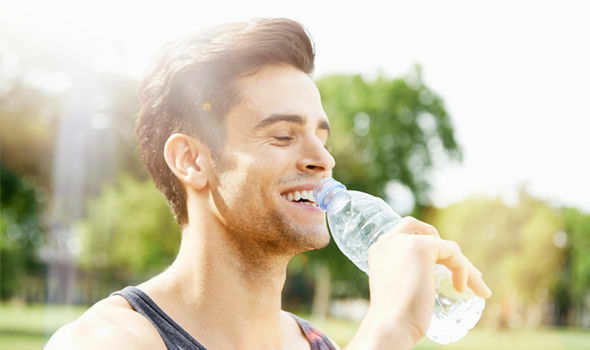 Nevertheless by drinking water we not only hydrate our skin but we benefit our body in multiple ways. Let us go through some of the benefits of water in our body. Firstly water regulates body temperature, which is a very important function now that the weather is hot. Sweating lowers body temperature and we avoid overheating. In addition water lubricates our joints making them more durable to strains. Another function of water is to supplement the liver and the kidneys in discarding not needed elements, mediating some of their burden. Furthermore it carries nutrients and oxygen, helps prevent constipation, takes part in the dissolution of mineral’s and nutrients so that the latter can be more easily absorbed and eases the pumping of blood from the heart to the muscles. Brown colour in your urine. If you think you suffer from dehydration you should go to the doctor. We now move on to the question how much water do I need daily? We shall list the average quantities relative to specific groups of the population. Infants up to six months old need 0.55 litres daily, which they usually get from milk. For infants between the ages of seven and twelve months old the daily needs are 0.64 to 0.8 litres. As the child grows his or her need for water change. Hence from one to two years they need 0.88 to 0.96 litres, from two to three 1.04 litres, whereas between four and eight 1.28 litres. At this point water needs between males and females are differentiated, more specifically males need 1.68 and females 1.55 litres. After the age of fourteen kids start drinking like adults. For men the right quantity is 2 to 3 litres per day and for women 1.6 to 2.2 litres. Women who are pregnant and those who are breastfeeding form two special categories. The first should consume 0.3 litres more than what adult females are supposed to, and the second 0.6 to 0.7 litres more. What is the effect of age? While the adult body can be regulated more effectively that is not the case with the body of a child. Also, very young ones might not be able to communicate their thirst, which is why we should make sure they drink enough water during the day. On the other hand older people are also susceptible to dehydration. The reasons why can be limited mobility, fear of incontinence and others. You must have observed that for older people the risk of dehydration is closely connected with their health status. This, although it is true, does not mean that they are the only ones in danger. Anyone who has a fever, diarrhea or is vomiting loses fluids that have to be replaced. Those suffering from a urinary tract infection or bladder infection also should increase their fluids intake. In contrast some conditions of the heart, of the liver, the kidney and adrenal require that we reduce water intake. A third factor is environment. In humid or hot places we sweat more. In very high altitudes (>2,500 m) our breath accelerates and we urinate more. In each of those circumstances we reject fluids which we need to replace. Lastly exercise significantly affects our need for water. 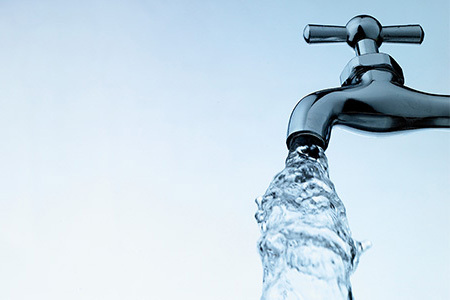 It is advisable that we increase our daily water consumption by 0.4-0.6 litres when exercising moderately. For intense exercise, lasting more than an hour, the quantity has to be even larger. In general the more we sweat the more water we should drink afterwards. Since during intense exercise we also lose sodium through sweat, we could consume some short of energy drink that contains sodium while we exercise. For all of the above water intake, especially during the hotter months, but for the rest of the year as well, is crucial for our organism.